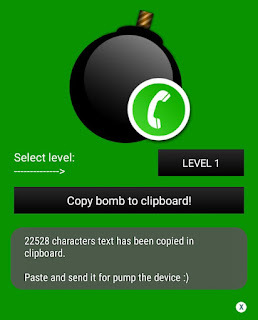 WhatsApp is one of the best and even most popular messenger app for smartphones. 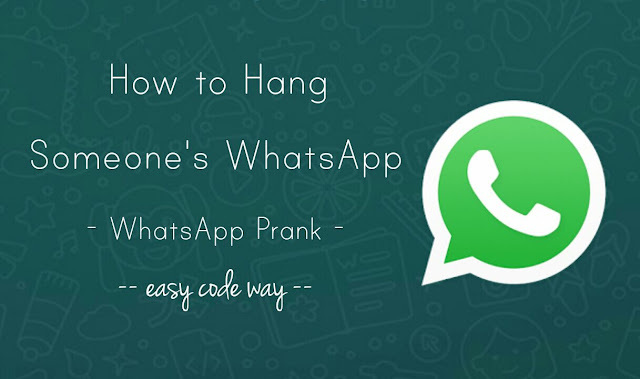 If you are using WhatsApp from a long time, you might have received several messages from your friends that hangs your phone or crashes the app automatically. So how a message can do this? You may call it a virus or scam but actually it's a WhatsApp bug. If a message containing lots of characters or emojies (say more than 25k characters) is sent to someone, WhatsApp will start crashing as it can't handle such long messages. This will slow down your phone's performance and eventually your phone will also hang for a while. 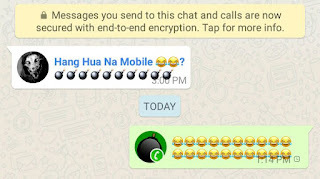 Though WhatsApp has fixed this problem to some extent but still you can use it as a prank to hang your friend's phone. 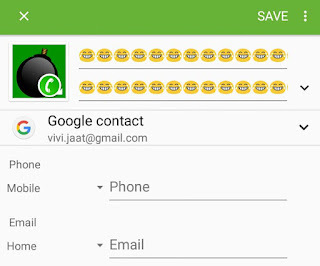 Here's a simple trick to create a contact message in WhatsApp that will hang your friend's phone. As already mentioned, you can hang WhatsApp by sending a message which contains too many characters. You can apply this trick on contact also. All you have to do is, create a new phone contact and fill too many characters in its name field. Then just send that contact to the person whose phone you want to hang. 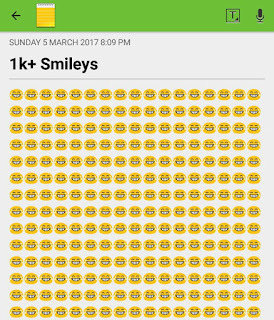 You can also create a long text message manually in Notes app by copying and pasting same thing again and again (For example, you can copy-paste 100 smileys 10x times to create 1k+ smileys). When you will open the victim's chat or when someone will send the same message, your phone will also hang for a while. To prevent WhatsApp from crashing, simply open the chat and delete that message. So this is how you can hang someone's WhatsApp. Isn't that interesting and funny trick? If you are facing any problem, feel free to share it in the comments below. Somebody pulled this prank on me, but now I can't open whatsapp anymore, it freezes on a white screen and then closes itself. I have tried to reboot and reset my Iphone but nothing works.